@Ben S, the question of radar coverage of the northern route is certainly an interesting one, I hope to address it in a blog post soon. By my estimation the easternmost edge of that cluster of routes is just about 60 nautical miles from Kolkota airport, so right on the range of detection. Of course, whether anyone was looking at the screen at that time is a separate issue. Conflicting theories aside, I think the unifying thread to all these posts, is a desire for the truth. This blog, which I just discovered a few weeks ago, has become my go-to place online, just to be amongst those who care to find out what that truth is, making us sharper, more alert in the process. I know I feel like I’ve become a smarter person as a result. 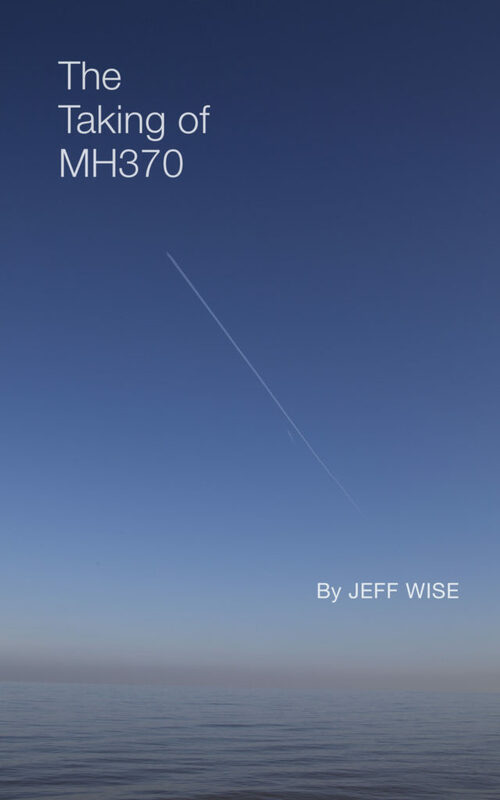 I thus thank @JeffWise for keeping eyes on the horizon, that the truth is indeed, out there. Thanks for letting us join the ride! @Me Ja Yung, Your kinds words are much appreciated. This is a big change from their initial position when the data was first released, with a ‘health warning’. Perhaps they no longer feel the need for deniability. I wonder how this can be? BTW, have you considered that this operation could be a joint Russia/Chinese enterprise? Someone in the know tried to blackwash the Uyghurs, which would only be of benefit to the Chinese. However, that is not evident from the electrical system schematic shown on the panel. It is possible that a person, intending to shut down SATCOM by isolating the L MAIN bus, selected the L BACKUP switch to OFF and thereby depowered the L XFER bus. According to information from Andrew on the VI blog, that would result in the loss of certain sensors required by the Primary Flight Control System (PFCS), cause reversion to secondary mode, and loss of the autopilot. That would explain that the autopilot was off after the turnback at IGARI, evident in the civil primary radar data. Confusing elec diagram, but are you assuming both XFER buses have to be ON for AP to operate due to the DC TRUs? Because I do not see where it says that both XFER buses have to be on to power all the DC TRUs. PS- I would ask what all the possibilities are for turning SDU off. I was thinking maybe turn off both IDG’s. In that case APU is needed to turn SDU back on at 18:25, because it says SDU is load shed on BACKUP Gens only. 1) How would the perpetrators know how to do this? 2) What was their goal, in going through all that effort? All the perpetrator needs to know is that the SDU is powered by the L Main bus. What needs to be done to isolate the L MAIN bus is shown by the diagram on the Electrical Overhead panel. There may have been other reasons for isolating the L MAIN bus. This is something that no normal airline pilot knows. removing power from the L XFER bus causes the PFCS to revert to secondary mode. The A/P is lost in secondary mode. @Jeff Wise: Why do you think the perpetrator was a “normal airline pilot”? @Gysbreght, The default mainstream scenario is that MH370 was hijacked by its pilot, Zaharie Ahmad Shah, an experienced but otherwise unremarkable airline pilot. It is still hard to believe the Ukrainian and Russian passengers on MH370 were flying from KL to Beijing for business. It doesnt pass the smell test. China also doesnt seem willing to investigate this despite losing so many citizens. At some point whatever classified information about MH370 needs to be declassified for the interest of the families of lost ones. Where is the transparency. @Jeff Wise: I’ve never subscribed to that “default mainstream scenario”, nor does your spoofing scenario. @Gysbreght, Always good to be on the same page. …key word of Andrew is “normally”…from reading SIC report it says the DC buses are powered from Left and Right XFER buses, but it does not say L DC is powered from *only* from L XFER bus. Without further info, I assume it may be possible to power L DC transformers from R XFER bus. @Gysbreght is suggesting 3. and 4. are superfluous (do not need to turn off XFER buses, but pilot may have not realized that). >>As far as SDU Turn Off, keep in mind there is a message appears on the pilot’s screen (EICAS) says (paraphrasing) “SDU is Now OFF” when the SDU power is removed, so there is that hint, which also appears on FSX Flight Sim PMDG model (but not on the simpler FS9 PSS777 model, to my knowledge). >>I believe pijacking can answer all of the operational “why” questions, perhaps not to everyone’s satisfaction. It would be nice if that was substantiated. If it was me, I would would say essentially ICAO recognizes that sovereign right of countries to control the message of aircraft disasters is of higher priority than notification of families of the truth. I can’t speak to why the Ukrainians (who btw, were ethnically Russian) might have been flying to Beijing (you could ask the same of the Iranian asylum seekers with stolen passports, given their final destination was Western Europe), but setting aside any nefariousness for a moment, it is possible that the leg of a trip to Beijing made their entire itinerary cheaper. As for Nikolai Brodskii, the Russian with the diving background–his home was Irkutsk, which is so far east in Russia that it is closer to Beijing than any major Russian city–or any city anywhere else at all, for that matter. Recently there has been some discussion here on the part of Someone Somewhere, Boris Tabaksplatt and Casual Observer, among others, regarding Chinese behavior around MH370. At the risk of introducing a red herring, I find this story–and the many others like it going back to well into 2014-accusing the Chinese of hacking Boeing and its suppliers quite interesting. @Ben, Thanks for this. I don’t think that they’re planning to look for MH370 per se, they’re just going to be diving on a geographical feature (the Diamantina Trench) that happens to overlap the MH370 search area. Looks like what they’re after is a depth record. Well, that’s generally where I think the MH370 aircraft might actually be found. I’d have to get a better understanding of their search coordinates, but I am thinking that’s close to where the pilot’s simulator case flew over. I think we need a list of electrical configurations that result in the loss of SATCOM and A/P. After some reading to confirm my memory, the transfer buses are normally powered by their IDGs via the left and right main buses respectively. If one IDG comes off line and the tie breakers between them are in auto, the other IDG will power both main buses. Normally the right B/U gen then will supplement that by powering the transfer bus on the inoperative IDG’s side. If the right B/U gen is inoperative, the left will do that, if operative. If both IDGs are inoperative the right B/U gen will power both transfer buses if operative. Should that be or become inoperative the left would take over, again if operative. The right transfer bus therefore will not power the left. However while the left DC bus normally is powered by the left transfer bus it can be supplied by the right DC bus also via the DC bus tie if the left’s TRU has failed. If either of the main AC bus tie breakers is selected to isolation and the left IDG fails through selection or otherwise, the left transfer bus (and hence the left DC bus) will be powered by the right B/U gen, failing that the left, as above. @David: Thanks for that explanation. What conclusions would that allow, given that A/P could just have been switched off manually? Maybe the pilot had nothing else to do, and just loved flying without autopilot. I see you have the B777 Training Manual. Is there a diagram which shows ELMS ability to load shed the EPESC (Enhanced Passenger Entertainment System Controller)? If so, then the EPESC, which is the interface between IFE and the SDU, wouldn’t be able to provide the packet data service for the IFE, hence the absence of the IFE after 00:19 UTC? Thanks for the link and the interesting article. In fact I had been considering this as well, the last few years has seen China aggressively trying to acquire western technology in general and aviation technology in particular. They have been very aggressive about Being able to master the entire development and manufacturing process of aircraft. Having said that, it is not immediately obvious to me how “disappearing” a western commercial airplane could help with that – presumably if they wanted to for example take that plane apart to study it they could just use any one, they are free to buy western planes and are equally free to do as they wish with those planes. Personally my hunch would be that it has something to do with those semiconductor guys (I laid out one theory in an earlier post). Another idea I wanted to float (to let you take it apart mercilessly) is the following. As you know by now, I “like” the idea that the plane could have gone east for various reasons. I recently had a long look at the map and realized that actually, one location that would have been comfortably within fuel range is Vladivostok. As you can easily see looking at a map, a route to Vladivostok would be fairly elegant and would be doable by flying entirely over water, safely out of reach of radar. I don’t actually think Vladivostok is a particularly likely destination since I don’t find “Russia” particularly plausible as a pwrp (I don’t see any convincing motive really), but if you insist on Russia, I would probably find Vladivostok less unrealistic than the other theories. What I am just thinking about … The radar data (if correct) showed unusual high speed. This would be inline with the understandable desire of a fast getaway for whoever piloted the plane. I assume autothrust had to be disabled to bypass the overspeed protections. AFAIK A/P can be used without autothrust, but might there be an advantage or a reason for disabling A/P along with autothrust ? @Somebody Somewhere, an eastern flight is interesting, though something met with quite a bit of resistance on this blog, particularly if you believe either the existing radar or an of the Inmarsat data is accurate. But even if you buy that, taking the plane to Vladivostok is a leap. Here is a map of Taiwan’s Pave Paws radar, which stretches from Mindanao in the southeast clockwise around to Japan in the northeast and has a reported range of 3100 miles. Surely South Korean and China have their own radars covering variously at least parts of the South China Sea, the East China Sea, the Yellow Sea and the Sea of Japan. And unlike less professionally managed systems in less contentious regions, I imagine these radars to be in high alert all time. That means a coverup would require complicity from many more nations and from nations that are not usually all that cooperative with each other. In the Training Manual there is detail as to the ‘electronic seat equipment’ systems, video and audio, that are shed. They include the EPSEC. As to your description of the EPESC as the interface between the IFE and SDU, there is no functional description of it that I can find in the TM. In the 777-300 Maintenance Manual it says it, “…supplies an interface to the Cabin Telecommunications Unit (CTU) for in-flight telephone service.” The CTU is between the EPSEC and SDU. Still, I would have thought that lack of the EPESC could well prevent IFE connections; though “packet data service” aspects are beyond my ken. A reason for the 00:21-and-onwards lack of IFE connection, following those that were successful at 18:27 & 28, could be the different generating capacity. For example assuming left main bus restoration led to the earlier connections there might have been two IDGs on line then, with no load shedding. To my mind much of that would be in the hundreds of seat displays and control boxes and ‘essential services’ would not include the IFE. At 00:21 with the APU plus up to 7kVA from the RAT, load shedding would have been at least as extensive. Based on the above that would lead to lack of IFE connection as you suggest. Another deduction is that quite likely there would need to be two IDGs on line for the first log-on (or conceivably one plus the APU). That’s a controversial conclusion. I am thinking turning off IDG’s loads maybe how how MH370 got so much power to ascend to FL430+ at IGARI and also got the speed up. Of course, once the pilot turns off IDG’s they are off for good. But if you can prove that, that is important. But also indicates people like Boeing/JIT might know exactly what the electronic options are, but us mere mortals have to guess at the many secrets not disclosed on this accident. Secrets include Malaysia military radar and military non-response explanation, aircraft specifics such as reasons for lack of IFE logon etc. So it is somewhat a lost cause to figure out this tragedy without insider knowledge of various types. Generally we only know that apparently the JIT orginally pressured Razak to finally admit on 15-March-2014 apparent intentional diversion, and Razak seemed to be in total agreement with that conclusion until he left power. The radar data showed not only speeds that were well above approved limits, but alao speed variations that are not compatible with autopiloted flight. Thanks for your reply. Is there a diagram? If the Enhanced Passenger Entertainment Controller System (EPECS) is load shed (ie Power is automatically removed), then the IFE (InFlight Entertainment) will be unable to establish its Data-3 connection via SATCOM (Satellite Communications) after 00:19. This means, it’s possible that the aircraft was airborne longer and that the aircraft crashed further from the seventh arc. Thank you for the very interesting links regarding radar in the Korea strait. I have to admit that though I had considered this a potential problem I wasn’t aware in this detail and yes you have a point. As I said I am not a fan of Russia theories anyway and haven’t looked into it in greater detail. I wonder whether it would be possible to “dive under” those radars in the Korea Strait. Also, another “Russia” possibility would be Sakhalin I presume – a route south of Taiwan, then staying east of Japan, then Sakhalin. That avoids any radars at all. I have to say that I would still prefer this theory to any “western” theories if it had to be a “Russia” theory. The logical problem with this however would be that if Russia had hijacked the plane where it initially went dark and then took it to Sakhalin, you could argue that there would not have been a need for the very very complex and resource intensive red herring of creating that satellite data and some wreckage in Africa. Presumably they could have simply “switched” “everything” off (if you assume they would have been able to falsify the sat data, evidently they would also have been able to just switch really everything, including the SDU, “off” completely and leave no trace at all.) Without sag data and a route as described above nobody would have come up with the idea that the plane could have been flown to Sakhalin. So the existence of the sat data implies for me that the perp is someone who would have been more obviously under suspicion without such sat data. To me, the likely falsifying of the famous satellite data actually seems a very important clue to this mystery. If it is really true that the perp went to such lengths to create this false lead, then the obvious question would be why go to such troubles. I mean, as it stands the plane disappeared without a trace, and presumably it could have been equally “disappeared” without such a complex false lead (if such it is, but it seems ever more likely). If the perp went to such great trouble to shift attention and focus to a route west and create highly sophisticated satellite data seemingly to prove that the plane went either into the SIO or maybe to Kazakhstan (but in any case WEST! WEST!! WEST!!!!! ), what might one conclude? I challenge you to ponder, where would suspicion have fallen if there was no satellite data?! MH370 could have flown the normal route to Beijing but only fly past towards a military base near Vladivostok.. perhaps it was looking all so normal until it flew past Beijing mostly over land and not into other countries’ radars. Well in the case that you describe it would not have looked normal because it would have been dark and wouldn’t have responded to calls. Even though I might be willing to accept the possibility of Vietnam and Beijing taking a “wait and see” approach in such a case (under the assumption that it might be a technical issue), at the latest after deviating from the intended flight plan after Beijing I would assume China to scramble. Even if they hadn’t done that for unclear reasons your theory would at the least imply that Beijing would know that it was Russia, and then what? The question would remain, why would Russia do that, why would they do it to China, why would they create false satellite data, etc etc. An act like this with full knowledge of china would be tantamount to war no?? Also, Vladivostok is an hour flight time from Beijing so “going past Beijing and swiftly landing in Vladivostok before the Chinese notice something is up” wouldn’t quite work, the Chinese would have had plenty of time to scramble. If we follow JW in assuming that a perp abducted the plane, flew it undetected across Malaysia, then turned north and managed to fly undetected all the way to Kazakhstan, and we further follow JW in assuming that the perp would have been able to falsify the Doppler shift portion of the data, then we can (should) ask the following: why should such a perp at all go to the trouble of falsifying any sat data?? Would a perp able to falsify sat data in such an expert manner as proposed by JW not presumably also be able to simply switch “everything” off, including all satellite transmitting equipment, and make sure the plane remains completely dark from the point of last contact all the way to Kazakhstan? 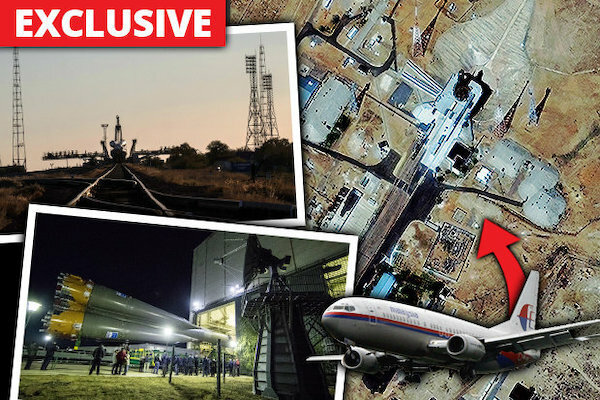 If a perp had managed to fly the plane all the way to Kazakhstan undetected, would there have at all reasonably been a need/rationale to create a false trail into the SIO by way of such a highly complex deception?? If there had been no sat data at all, would anyone have come up with the thought that the plane could have gone to Kazakhstan?? No way!! Yes. Generally I am reluctant to post these pages despite their carrying no ‘copyright’, except where the gain to be had is demonstrable. Yes, though there is uncertainty still as to whether “electronic seat equipment” would be load shed with just the one main generator. Load shedding could be automatic based on configuration or alternatively on actual load. If the latter some of the loading allowed for under ‘essential services’ requirements might not be needed, for example electric power for hydraulic pumps. The windmilling engines might provide sufficient hydraulics to obviate that need. In that case there might be enough to power the electronic seat equipment including the EPSEC. I think you are thinking of a disconnect. They can be ‘turned off’ without that. It’s possible that the missing IFE (InFlight Entertainment) connection after 00:19 is simply due to load shedding of power to the EPESC (Enhanced Passenger Entertainment System Controller). What about the missing Flight ID during SATCOM log-on? We know that the Flight ID was not manually cleared via the MCDU (Multi-Function Control Display Unit) in the cockpit (Safety Information Report 2.5.2), but was more likely due to the SDU (Satellite Data Unit) not receiving it from AIMS (Airplane Information Management System). Is there a diagram which shows the path of the Flight ID/ICAO Address to the SDU from AIMS? Under SDU this is all. 2 pages.